About: Dr. Phua’s research examines the impact of new and emerging communication technologies, including social media, on advertising and branding, social marketing campaigns for public health issues like obesity and smoking cessation, and sports marketing. His teaching specialties include digital and social communication strategies, advertising and communication management, and digital advertising at both the undergraduate and graduate levels. Dr. Phua’s research examines the impact of new and emerging communication technologies, including social media, on advertising and branding, social marketing campaigns for public health issues like obesity and smoking cessation, and sports marketing. 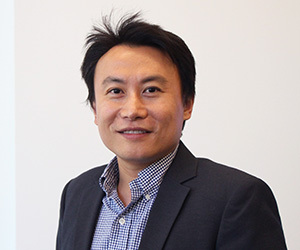 His research has been published in top journals in the field, including Journal of Communication, Journal of Advertising, Psychology of Addictive Behaviors, Journal of Health Psychology, Journal of Smoking Cessation, Asian Journal of Communication, International Journal of Sport Communication, Journal of Sports Media, and Social Influence. His research has also received coverage in publications including Newsweek, Men’s Health, Huffington Post, Men’s Fitness, and WebMD magazine, as well as in news outlets like ABC News, Yahoo! News, and NPR Marketplace Tech. Content Analysis of JUUL Electronic Cigarette Posts and Comments on Instagram. Joe Phua and Bryan Trude Accepted to ICA 2019 in Washington, D.C.
Dr. Phua’s teaching specialties include digital and social communication strategies, advertising and communication management, and digital advertising at both the undergraduate and graduate levels. Dr. Phua has worked in corporate communications at MTV networks, account management at Dailey and Associates Advertising, and in film production at Paramount Pictures in Hollywood, California, before attending the Annenberg School for Communication & Journalism at the University of Southern California, where he earned his Ph.D. in 2011.